His Royal Highness Prime Minister Prince Khalifa bin Salman Al Khalifa has received a telephone call from his Thai counterpart, General Prayut Chan-o-cha. 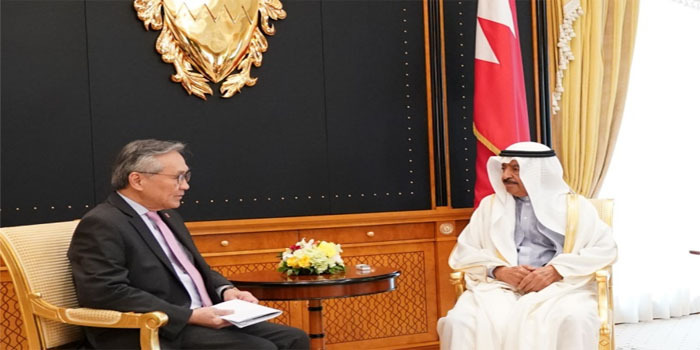 They reviewed the progress of the Bahraini-Thai relations, and the mechanisms to enhance bilateral cooperation and coordination across various fields. HRH the Prime Minister expressed pride in the Thai government’s keenness to bolster bilateral cooperation at all levels to serve the two countries’ common interests. The Thai Prime Minister affirmed his country’s pride in and appreciation of the role played by HRH Premier in developing relations between the two countries and enhancing cooperation between them.